Attention Boaters and Investors. 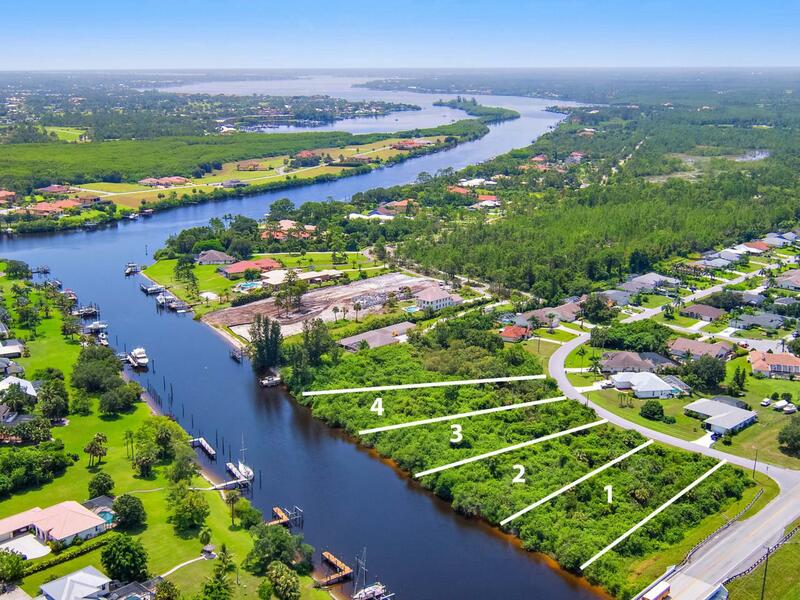 Four adjacent Buildable Riverfront lots for sale on the St. Lucie River that offer deep water dockage for large vessels and direct ocean access with no fixed bridges. Buy one lot and build your dream property or purchase all four and build a massive waterfront estate or a small enclave of homes. Each lot has over 100ft of waterfrontage and larger than 1/3 of an acre. Centrally located close to shopping, restaurants, beaches, hospitals and Club Med.